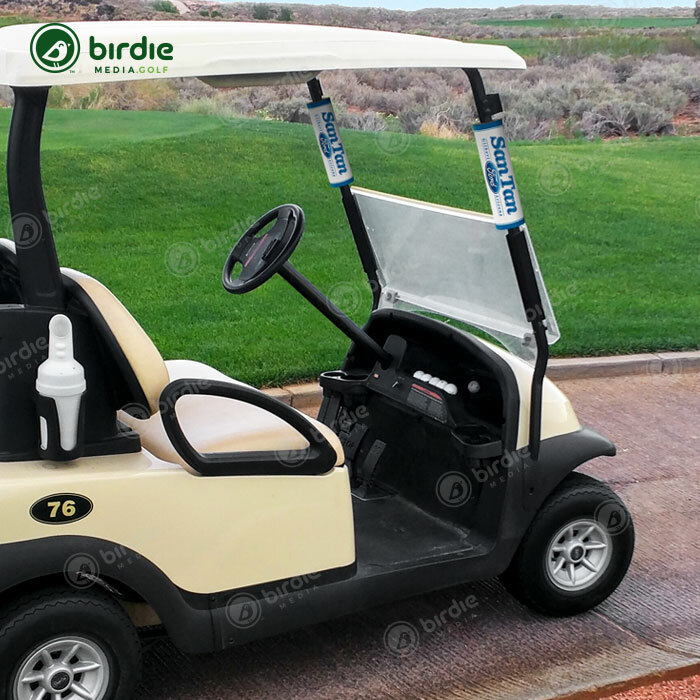 Feature your brand where it is practically impossible to miss – on the golf carts’ support poles. 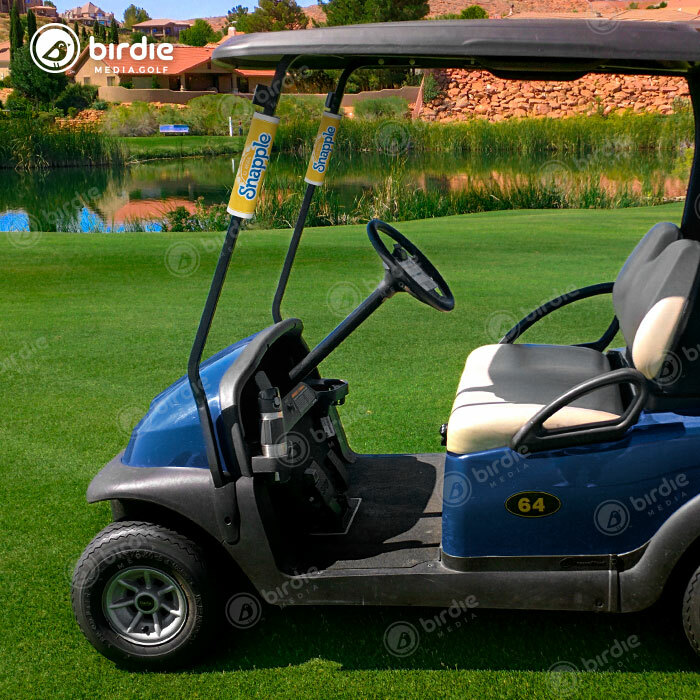 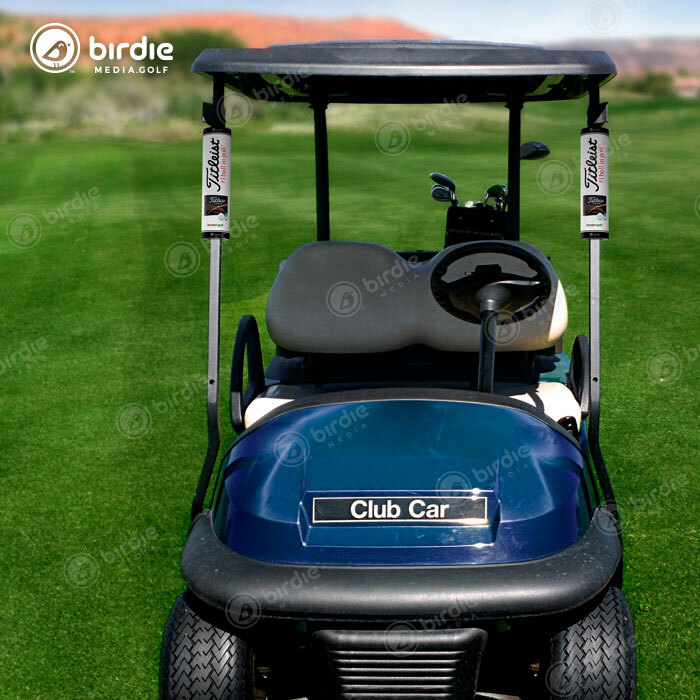 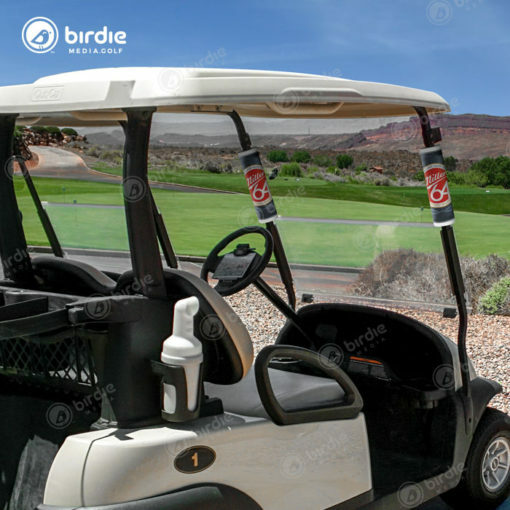 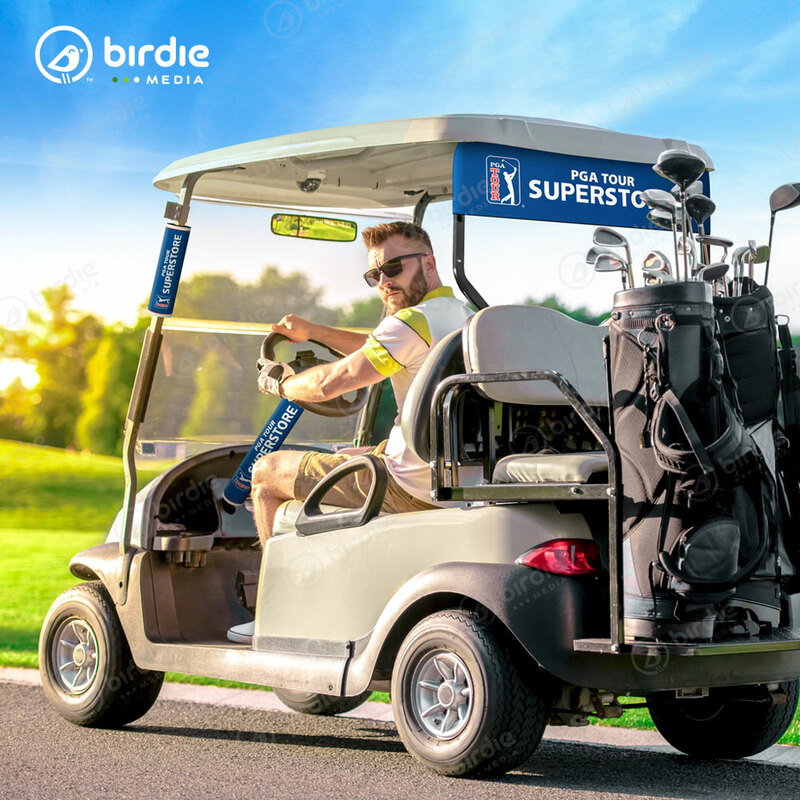 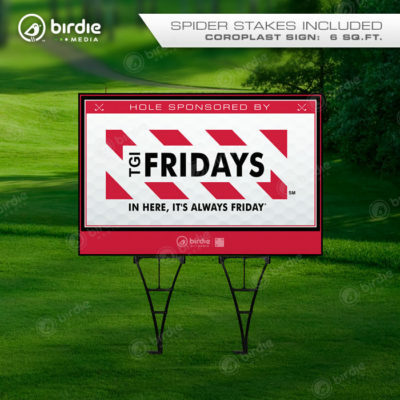 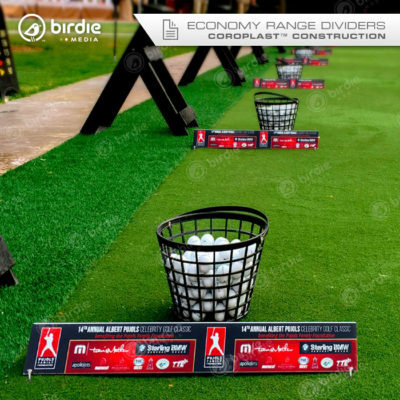 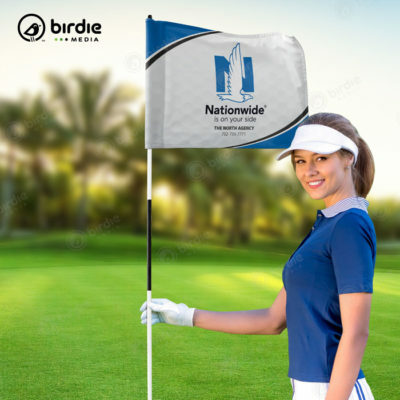 Birdie Media’s innovative golf cart ads travel with the golfer to every hole and convey their message throughout the entire event for 4+ hours! 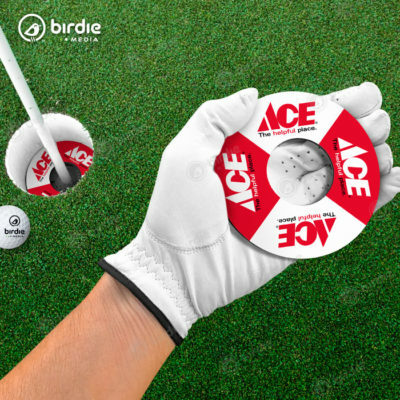 Birdie Cart Cuffs™ – Conspicuous. 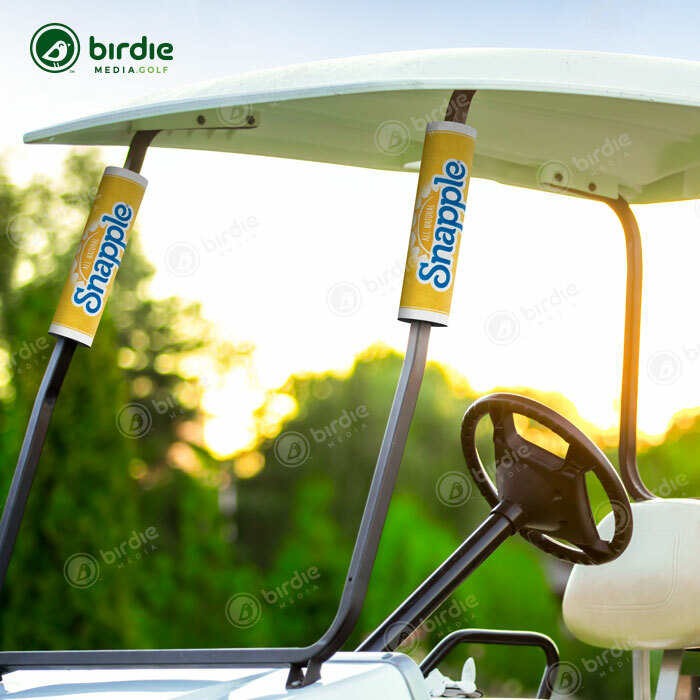 Eye-level. Unforgettable. Pricing includes set-up fees, printing, sales tax & free shipping to any state within the continental U.S. *Note – Birdie Cart Cuffs™ are produced using the same design/sponsor for each minimum quantity (30) ordered. 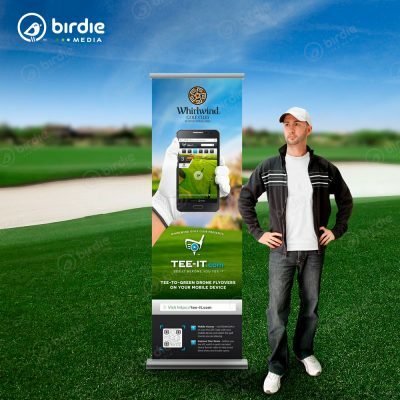 This offer is not for valid for production of 30 varying Cart Cuff graphics.